When you coordinate a large event, you organize or bring all the many parts of it together so that the event can occur. Nihilism is the belief that nothing in life has any importance or value, including all social institutions, and that existence is senseless or useless. When you orient yourself to your current surroundings you familiarize yourself with them or adjust to them. To ramble is to wander about leisurely, with no specific destination in mind; to ramble while speaking is to talk with no particular aim or point intended. The rock concert, instead of running smoothly, was chaotic and disorderly from the beginning. The chaotic or messed-up state began when the opening act canceled at the last minute, and the main band refused to play early. Next lightning crashed and the lights went out, causing a chaotic, uncontrolled response—everyone was scrambling for the exits. When the police arrived to try to reinstate some order, a rumor spread that there had been a bomb threat, which made things even more chaotic, crazy, and rowdy. Quiz: Try again! What is a chaotic situation? It is one that does not go very well despite some good planning. It is a situation that everyone accepts even though it does not go particularly well. It is one that is very mixed up and utterly confused. Chap Neurotic That chap is so neurotic because he lives a chaotic, messed-up life. Something chaotic hearkens to the extreme disorder found in “infinite space.” According to some systems of thought, from this “darkness,” viewed as disorderly or “chaotic” because there is nothing of recognizable form, came all things that do have form, hence some order to them. 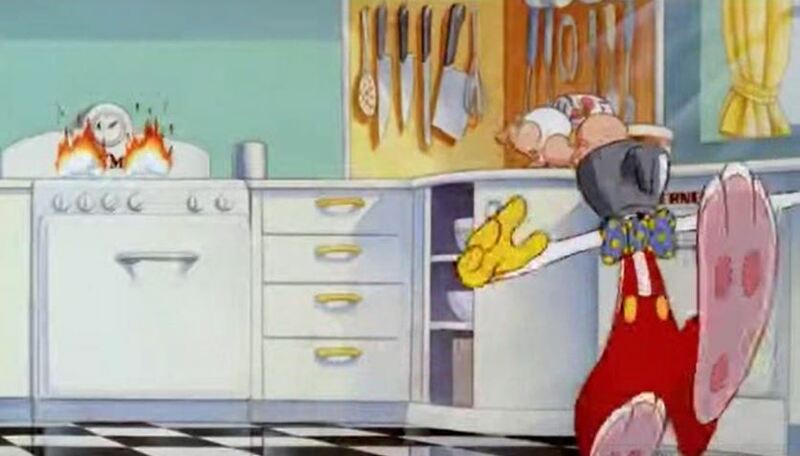 Roger Rabbit Roger Rabbit's babysitting experience is chaotic!